We don’t just talk the talk; we walk the walk on behalf of our clients who have been seriously injured, lost loved ones or suffered financial injustice in commercial disputes. 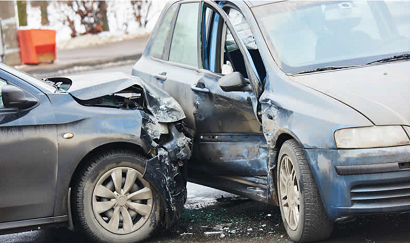 If you or a loved one has suffered an injury because of a negligent driver, defective product or workplace accident, it is wise to contact a skilled attorney as soon as possible. The sooner you can contact the Wetzel Law Firms personal injury compensation attorneys, the sooner we can begin crafting your case strategy. By fully investigating your accident and working with your chosen medical professional, we can gain a clear understanding of how your injuries might impact the rest of your life. With this information, we will negotiate with the at-fault party’s insurance carrier to help you obtain the full and fair monetary compensation you are owed. We understand the devastating effects a catastrophic injury or a wrongful death can have on a family. Not only are you struggling with the loss of a loved one, you might have to face financial peril. It is the goal of our firm to remove as much stress as possible from your shoulders while guiding you through an often-challenging legal process. We will negotiate on your behalf to recover the maximum monetary compensation possible. If a settlement cannot be reached, we have confidence in our ability to represent you in court. At Wetzel Law Firm, we take all of our cases on a contingency fee basis. This means it will cost you nothing to have an attorney on your case. We collect our fee when you collect from the persons responsible for your injuries. Contact an experienced attorney at the Wetzel Law Firm today to learn more about our services. Your initial consultation is always free.